About Us - Hands of Hope Inc.
​Hands of Hope is a not-for-profit community based organization whose mission is to provide free furniture and household goods to people in need in Winnipeg. We are committed to providing an efficient and effective support to families and individuals whose lives are broken by poverty, oppression, exclusion and abuse. At Hands of Hope we see abject poverty daily. There are so many people in Winnipeg who just barely exist, have no place else to turn, are alone and on the edge of survival. Some suffer from poor physical or mental health and cannot afford to buy everyday household items. Many elderly people find themselves with only the hard floor to sleep on when their beds are infested with bed bugs. Displaced refugees are living in harsh conditions with little or no money and no hope of returning to their countries. Too often families sleep on the floor and don’t have any possibility of buying a bed or other items which are of so great importance in everyday life. We not only provide those items but a ray of hope to individuals otherwise destitute. In addition, we provide support to homeless seniors or those with mental disabilities about to be released from the hospital by delivering the essentials of life they are required to have before they are released. By doing this we reduce costs to the medical system and free up beds for others who are waiting. ​Between February 1, 2002 and December 31, 2017 Hands of Hope has helped over 52,000 people with their furniture and household needs. It would be nice to say that Hands of Hope was not needed, but unfortunately this is not the case. Each day we help as many people as we can, yet each day we receive more calls and add people to our waiting list. There is not merely a perceived need; the need is real. We know that there are more people like you who are willing to help us in our work. The challenge is communicating our need with them. You can help us to do that by telling your friends and neighbors about Hands of Hope. Whether it be a financial donation or a donation of furniture and household items, we rely upon the generosity of our donors to meet our community's needs. Your donation changed lives. There are seniors coming home from hospitals, refugees creating homes in Canada, and children sleeping in beds because of your generosity. Thank you! Volunteers are a key component in keeping our costs low. We can't operate without them. To quote Morgan Freeman, "How do we change the world? One random act of kindness at a time"
JOIN WITH US AS WE LOOK TO THE FUTURE. TOGETHER WE CAN SHOW LOVE TO WINNIPEG. 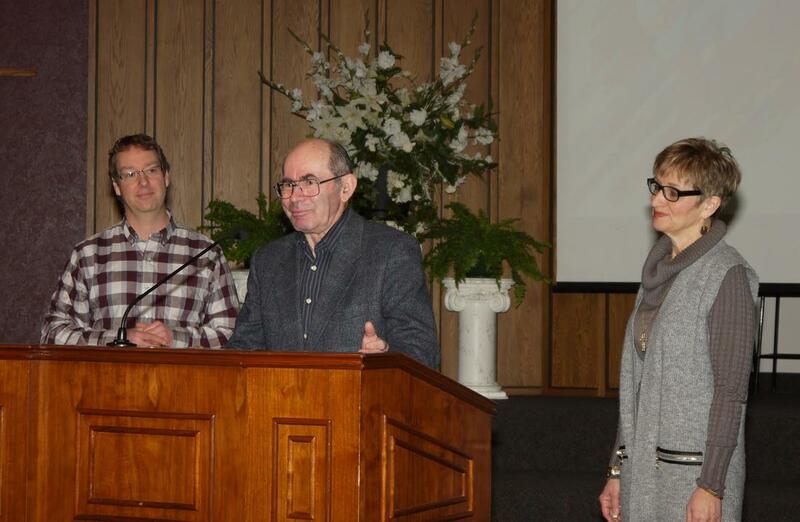 Hands of Hope was founded in 2002 by attendees of Grace Christian Church in Winnipeg. It became apparent through the church network that many people were asking for help getting basic household furniture. No one appeared to be able and willing to help people meet this need. Charles F Norris and his wife Sandra decided to form a registered charity. They received substantial funding support from community partners like The Winnipeg Housing and Homelessness Initiative, the Province of Manitoba Community Places, Manitoba Community Services Council, Neighbourhoods Alice and the City of Winnipeg. A grant from the Winnipeg Foundation was used to purchase vehicles for deliveries and pickups.